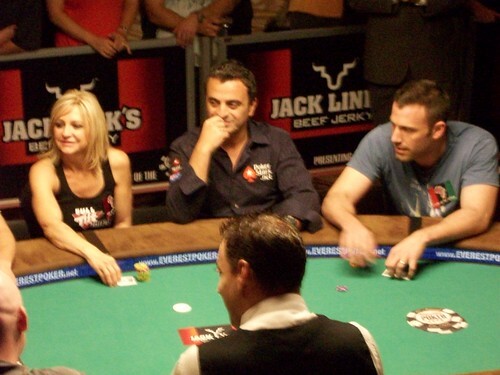 The lure of the poker table has long attracted players from all walks of life. Poker players come to the game from many different types of backgrounds. One trend that we have seen a lot in recent years is that of celebrities such as actors and sports stars starting to play. The latest name to get added to this list is boxing champion David Haye. He is a British-born, former world boxing champion. Haye won titles at both cruiserweight and heavyweight divisions. He began training as a boxer at the age of ten and by the age of 18, he was making waves at the 1999 World Amateur Boxing Championships. After his start as an amateur, an illustrious professional career saw him become only the second ever boxer to unify the cruiserweight and heavyweight titles, following in the footsteps of Evander Holyfield by doing this. Haye announced his retirement from boxing in June 2018. He had a career record of just four defeats from 32 fights. In his retirement statement, he said that this was the “start of something new”. That something looks like being poker. What are His Poker Plans? At the moment, the retired boxer says that he plans to spend the next year learning the skills needed to play this game at a high level. He has teamed up with a local casino operator in England to prepare for a tournament and to promote it. Haye will then take part in the 2019 Goliath poker festival that is held at the Ricoh Arena in Coventry. He admits that, right now, he isn’t skilled enough in the card game to play it to a high level. Indeed, the former fighter said that he needs to learn “the bread and butter of poker” right from the basics onwards. He said that that he doesn’t even know the rules of poker yet but that he is willing to start at the very beginning. The plans include him working with poker professionals such as Katie Swift, Joe Beevers, and Jeff Kimber. He promised that he plans to avoid the risk of going on to “embarrass myself” in next year’s tournament. Who Else Has Made the Switch to Poker? There have been numerous other examples of people who are successful in other aspects of life making the move to poker. Among these are famous actors such as Ben Affleck, Tobey Maguire, and Matt Damon. There are also plenty of sports stars who have found life at the poker table too exciting to turn their back on. These include tennis champion Rafael Nadal, swimmer Michael Phelps, and soccer stars such as Gerard Pique, Neymar Jr, and Cristiano Ronaldo. What about people like David Haye, who has retired from his main job and appears to be trying to make a living from poker? Who has done this successfully in the past and what drove them to give poker a try? One of the best examples is that of ex-soccer star Teddy Sheringham. After a glittering career on the field, he has achieved some impressive results at the poker table too. Stephen Hendry is another example, with the former snooker world champion becoming a high profile poker player in recent years. Who Do Celebrities Do This? It seems safe to say that most celebrities turn to poker for the same reasons as the rest of us. While many of these people are already rich and successful, they are drawn in by the thrill of trying to beat other players. For some of them, it may be a way of recreating the adrenaline rush that they get – or used to get- from their main career. Of course, they can start off in high-profile tournaments involving huge amounts of money if they want to. Anyone with less money to gamble is more likely to look at the likes of the current casino deals on Oddschecker, where welcome packages of 100% and free spins get newcomers going. The movie Molly’s Game gave us a glimpse into the high-stakes, often murky world of celebrity poker games. Maybe it gives these hugely successful celebrities the chance to relax, away from the stress and demands of the careers that made them famous in the first place. Others may have simply discovered a card game that they love, like so many regular players have done over the years. Or maybe they need a fresh challenge. Going back to David Haye for a moment, the former boxer says that he has “always found a way to overcome stuff”. Perhaps it is this desire to succeed in a completely new challenge that drives these celebrities on to play poker. Whatever the reason is, we can certainly expect to see more celebrities try their hand at poker games in the future.